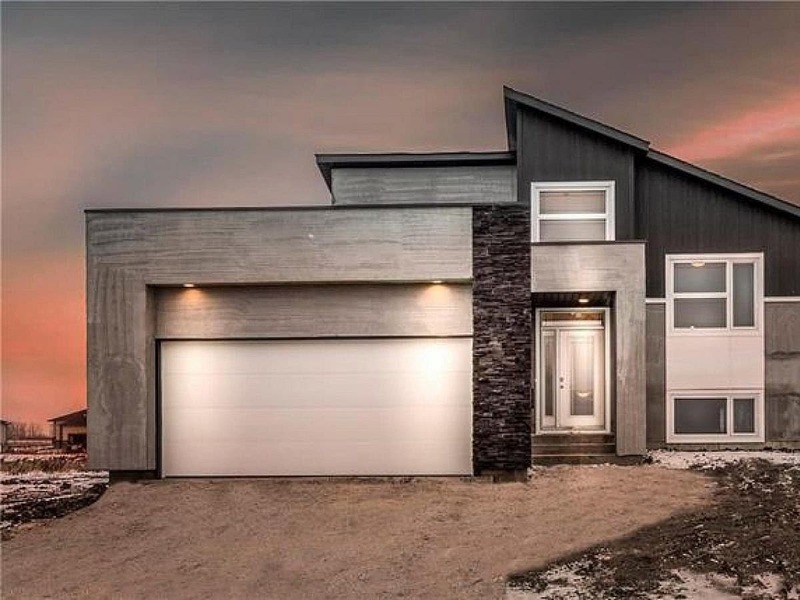 Absolutely STUNNING new design by A&S Homes features three large bedrooms, two bathrooms, and an over-sized double-attached garage (21′ x 24′). This contemporary exterior is the definition of great curb appeal — finished with cultured stone, KWP siding and wood trim. Upon entering you are greeted by soaring 16′ ceilings in the foyer area, which is sure to leave a lasting impression! The main floor boasts a functional open concept design ideal for entertaining guests. This 1,231 sq. ft. bungalow is finished with light laminate flooring, custom white thermofoil cabinetry, quartz countertops in the kitchen and bathrooms, undermount sinks, LED pot lighting, 60″ x 36″ glider foundation windows, gas fireplace with tile surround from floor to ceiling and built-in entertainment unit! Standard A&S features included, as always, pile foundation with MS-Delta Foundation Membrane, main floor over-sized window package, engineered floor joists, 50 oz. premium carpet, 8′-4″ high basement walls, full concrete driveway/approach and staircase. Square Footage: 1,231 sq. ft.
Visit The Ritchot II Quick Possession!